Taiwan acquired a taste for Japanese-style hot spring spas back when the Japanese occupied the island and missed the onsen of their home country, and started developing the existing hot springs for their personal use. Nowadays, many Taiwanese enjoy a long dip in the many spas in their country while sipping ice-cold beer and engaging in conversation with friends. Here are 5 must-visit hot springs in Taiwan to include in your travel there. Considered by many to be the most beautiful in the island, Lisong is somewhat remote, nestled by the mineral-stained cliffs of the Sinwulu River. 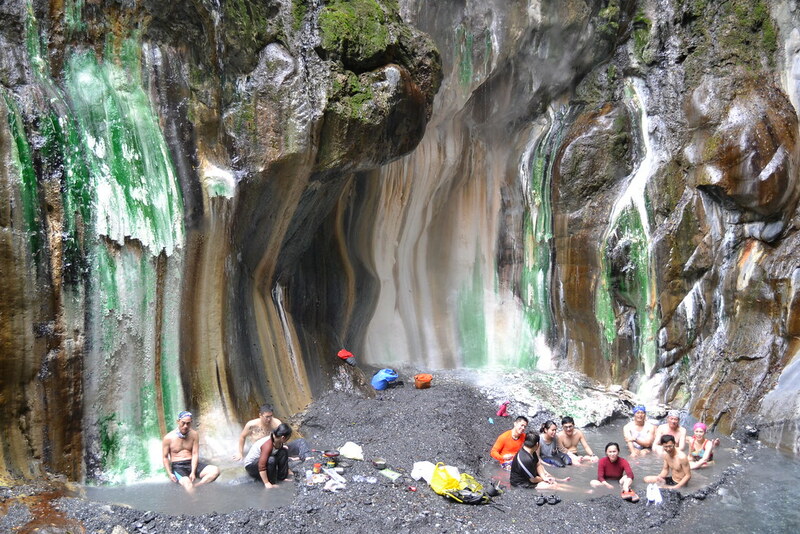 The hot mineral water cascading down the colorful side of the gorge while clouds of steam rise up all highlight the green, white, orange, yellow and brown minerals, creating a wonderful effect as you dip into the waters. The river besides the hot springs is at least 4 meters deep and surrounded by sheer cliffs, making it perfect for cooling off after a long soak in the hot springs. Only determined aficionados venture into Lisong, and they are well-rewarded with such an immersive experience. This area has more than 10 hot springs, earning it the nickname, “hot spring village”. The main spas are located along Zhongshan Road, Guangming Road, Xinming Road and Quanyuan Road. Most of the spas here are sulfur springs, such as white sulphur, green sulphur and iron sulphur, with the range of temperature between 55 to 58 degrees centigrade. The Beitou Hot Spring Museum is also an attraction here, featuring 12 exhibition halls that displays the history of the hot springs and villages surrounding them. 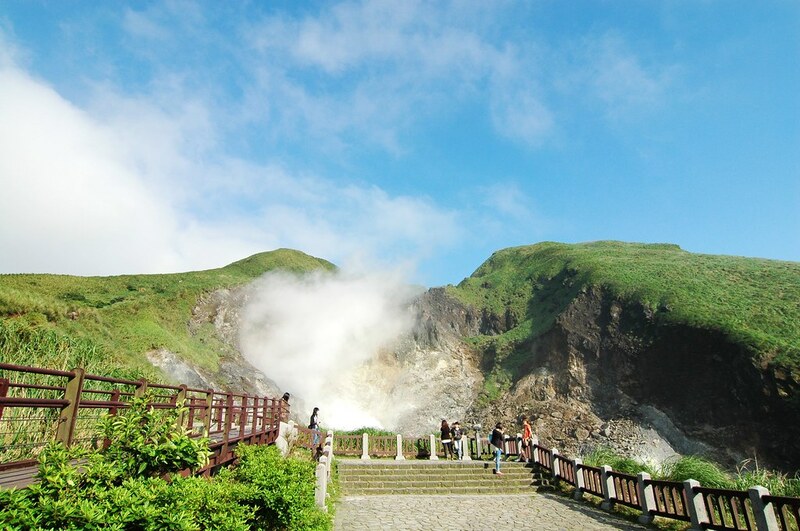 The most popular and easily accessible hot spring region due to the connection with Taipeiâ€™s new commuter train system. The best place to start touring Peitouâ€™s spa resorts is the I-Tsun Hotel, a favorite among Japanese army officers in the 1920â€™s. You may even benefit from the hot springs without stepping foot inside any of the resorts, as steaming sulphurous water runs down the circuitous road where many of the spas are located. Simply sit on the edge of the pavement along with the locals and immerse your bare feet in for free. This compact town has clear and odorless springs, and possesses both private and free spas that are available to the public. Visitors can take the Gondola, which offers a breath-taking view of Wu Lai falls before reaching the peak, which contains a hotel, conference rooms and a lovely garden park with paddle boats nature trails, and playground. You can also take the Wu Lai Scenic Train, a converted Japanese-era mine train that takes visitors from downtown to attractions at the base of Wu Lai Falls. Being an Atayal aboriginal town, you can try unusual native dishes like wild boar, birdâ€™s nest fern, millet wine and the town specialty of seasoned rice steamed in a tube of bamboo. Jinshan means Gold Mountain, which reflects on the gold-colored sulfur strewn about the area. The spring is potable as well as suitable for bathing, and is eve claimed to be beneficial for those afflicted with skin ailments. Furthermore, the sulfur content is moderate, and is appealing to those who object to the rotten-egg odor present in other hot springs. Visitors can try theÂ 40-year-old facilities in Huangjintang Spring in Wencuan Road, or go for the Jinshan Youth Activity Center in Cingnian Road, which can fit 500 people at any one time, the largest of its kind in Southeast Asia.